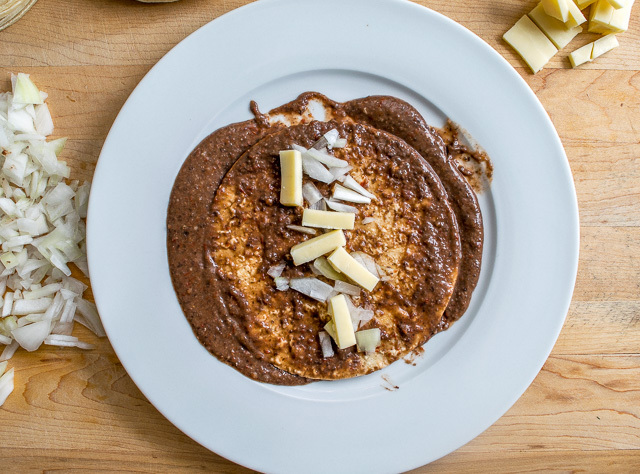 Enfrijoladas are one of Mexico’s most common ‘dinner in a hurry’ meals. They are less common north of the border because people tend to limit beans to the ‘side dish’ realm. But that usually means they’ve never tried warm corn tortillas drenched in a chili-infused bean puree. Enfrijoladas also happens to be on the lookout for a stable, long term relationship. It’s more than willing to change its ways in hopes of being kept around, so you can customize it to your liking without losing the strongest attributes of this wildly versatile dish. 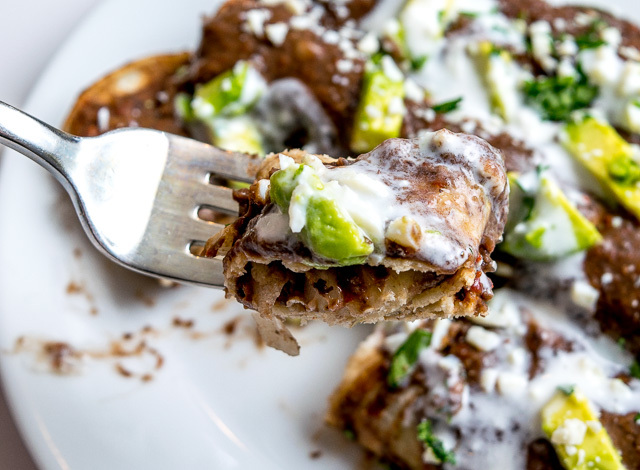 Spend 30 seconds scrolling through our Mexican Cooking Survival Guide and you’ll have 27 new options for dinner tomorrow night. You’ll frequently see Anchos or Chile de Arbols used to spice up Enfrijoladas, but here we are using Chipotles in Adobo. I think the smoky haze of the chipotles works well with black beans. Also note that using 3 chipotles gives this puree a kick worthy of a drunken mule, so you can dial back on the chipotles if you want a milder end product. Add to a blender along with 3 chipotles and 2 garlic cloves. Puree until smooth. 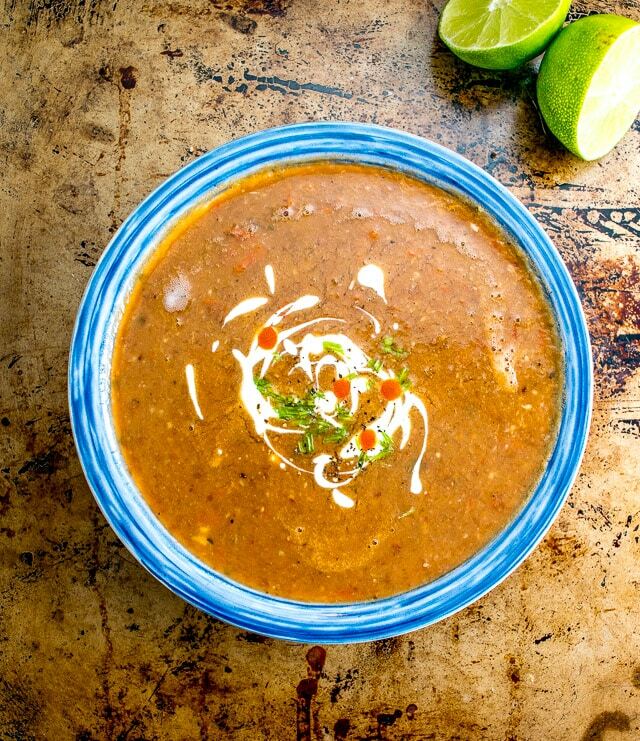 Ideally the puree has the consistency of a thick soup so it can cling to tortillas. Add enough stock (or water) to get it there. This batch needed an extra few tablespoons of stock. 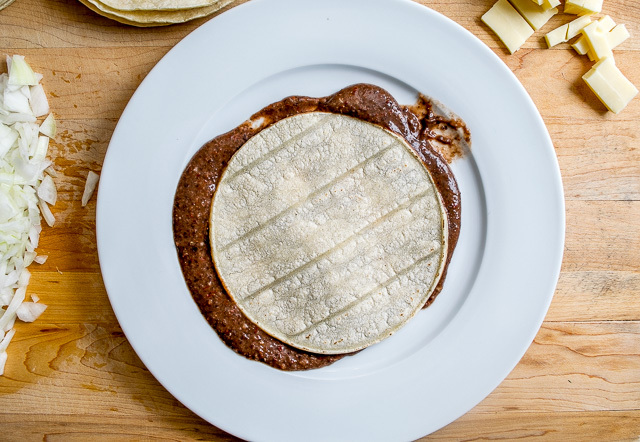 Add a big dollop of bean puree to a plate and dredge a tortilla in it. Flip and fill with onion and cheese. Roll tight and place in a baking dish. You can add some puree to the bottom of the baking dish to prevent sticking. Once all the tortillas are rolled, cover with the remaining bean puree. Give them a jiggle to get some of the sauce between them. Bake at 425F for 8-10 minutes or until you think all of the cheese has melted. 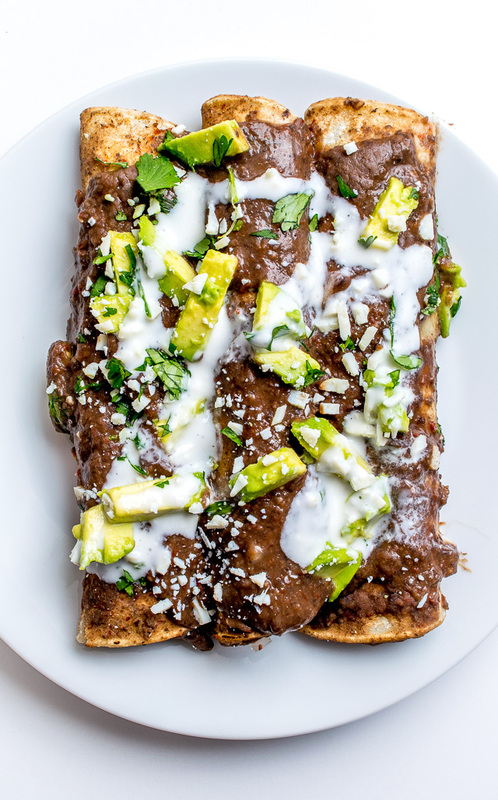 I think adding avocado bits turns this dish from a snack into a complete meal, but remember, enfrijoladas are flexible. Cilantro, Cotija cheese, and sour cream are also great candidates for toppings. You can also add chicken or chorizo to make them even heartier, but this could make you go all Humphrey Bogart over them. Enfrijoladas, I think this is the beginning of a beautiful friendship. 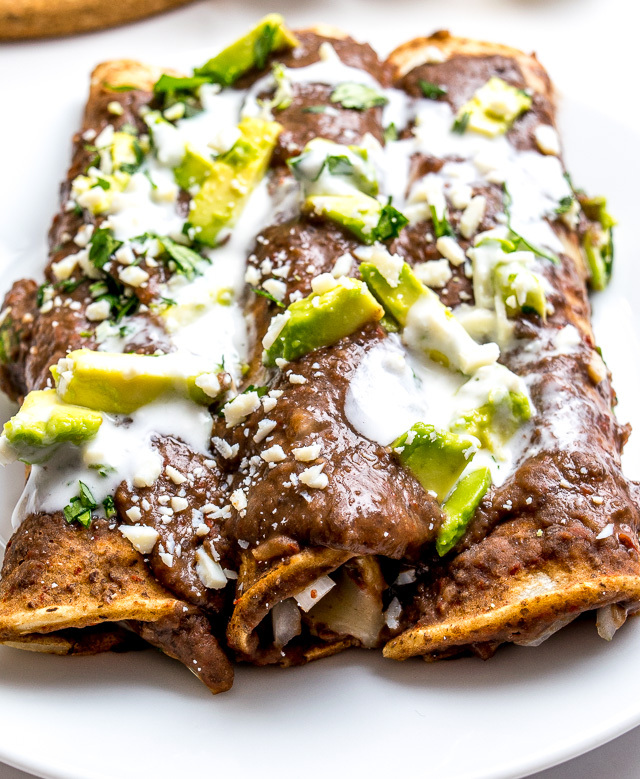 Enfrijoladas is a wildly versatile dish that is quick, easy, and will always be there for you. 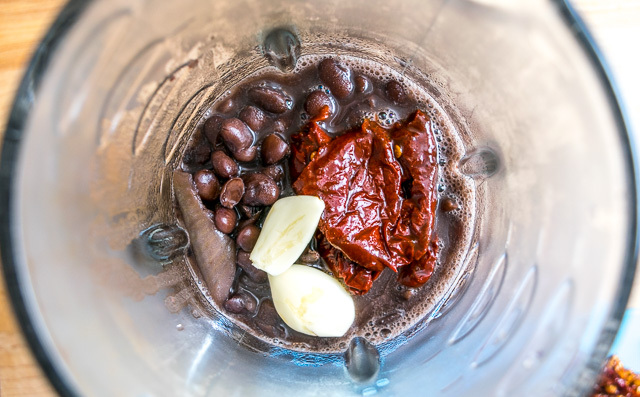 Add the beans, garlic, chipotles and salt to a blender and puree until smooth. Add stock (or water) until the puree has the consistency of a thick soup. Taste for seasoning and heat level. Warm the corn tortillas in the oven or microwave. Place a big dollop of bean puree on a plate. Dredge one side of a tortilla in the bean puree. Flip the tortilla and fill with onion and cheese. Roll tight and place in a baking dish seam side down (add some puree to the baking dish to prevent sticking). Continue rolling all of the tortillas -- this batch was enough for 8 rolled tortillas. 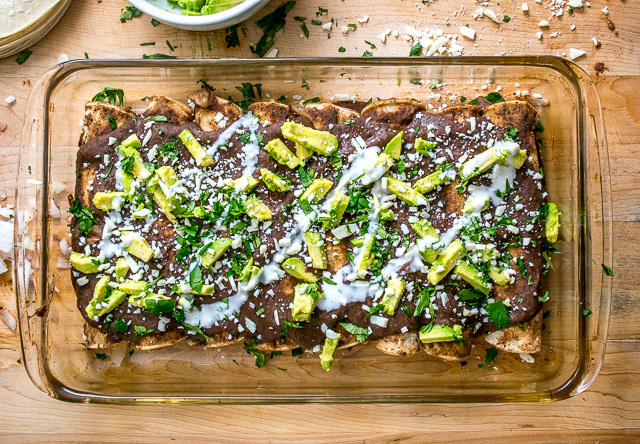 Cover the tortillas in the baking dish with the remaining bean puree. Bake at 425F for 8-10 minutes or until the cheese has melted. 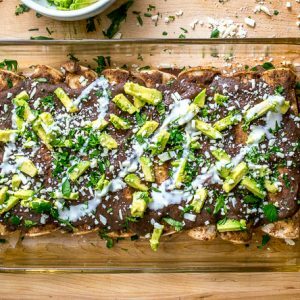 Serve immediately and top with your choice of avocado, cheese, cilantro and Crema. You can add chicken or chorizo to the inside of the tortillas to make them even heartier. If you are using canned beans I would probably drain and rinse the beans first and rely on the chipotles and garlic to flavor them. If you do rinse them you'll need to add salt to taste. Anchos or Chile de Arbols can be used in place of the Chipotles. And our Pinto Bean Soup. Enfrijoladas have never been on my food itinerary nor common in So. Cal. BUT THEY WILL BE NOW. Thanks for the idea. Here people most likely to make bean burritos or bean tostadas. Thanks Hank! Yeah I used to live in your area and never saw them around much either — kinda strange because they are so good and SoCal is so close to the border. Let me know how it goes for you. Looks good. I can’t to try it and WOW my friends. I’m also looking for a great recipe for pickled carrots and radishes, an accompaniment to most Mexican dishes. Thanks Janny, hope they enjoy it! Hmmm we’ve got all sorts of pickled recipes on this site but it’s true that none of them have radishes in them. I would think that you could simply add some chopped radishes to these Pickled Carrots Sticks and come up with a pretty darn good result. Let me know if you try it! I added roasted butternut squash to the filling. Wow! Sweet and rich So glad I tried the bean sauce! Yowsa sounds awesome Anita! Makes me realize it’s been awhile since I’ve made these, thanks for the reminder! We had these last night. Delicious, but they weren’t fully warmed through and the onions were raw. I put them in a 375 F oven for 10 minutes. You don’t indicate what temperature to set the oven to bake these. Based on our experience, I would say higher than 375, but what? Thanks much for your note Mark! 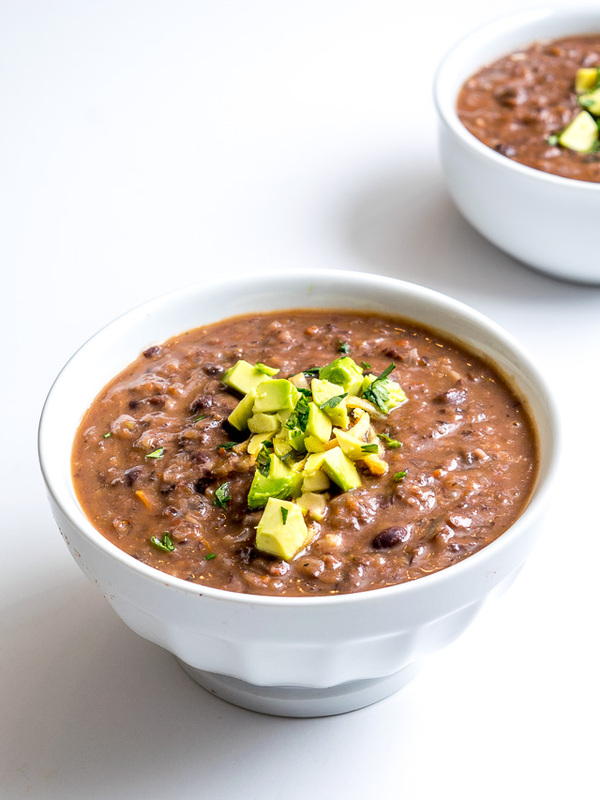 In the above link the onion is blended into the black bean puree before using it — this could be a decent option if you want onion flavor in the Enfrijoladas but don’t want that raw onion crunch/texture. Let me know if you have any other questions about this — it’s super helpful for other peeps to read your notes so thanks much for leaving them. Cheers. Thanks Patrick! I don’t mind raw onions myself but they were a little much for my wife. This recipe is definitely a keeper, I’ll try 400-425 next time and maybe switch to red onions or sautée the onions for a few minutes until translucent. Incidentally I used two chipotles, the heat level was perfect. I could have probably taken 3, but with 2 it’s certainly not lacking! Yeah 2 chipotles should provide plenty of heat. If you ever want just a pinch more heat you can always add a teaspoon or two of the adobo sauce from the can. Cheers. I can see these being a soggy mess! You don’t earn tortillas in the oven! All tortillas for enchiladas get lightly fried in oil before being passed through chile or in this case the beans. The light fry brings out the corn flavor and keeps the enchiladas from getting to soggy and falling apart. 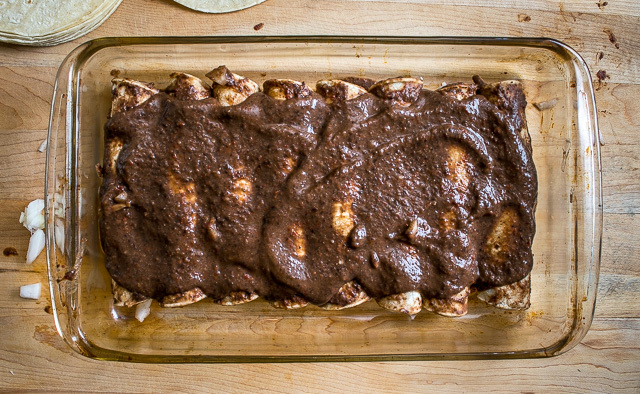 That’s how I learned to make enchiladas in my grandmother Agustina’s kitchen! Hi Debra thanks for your note! You can definitely fry the tortillas in oil if you want, but I’ve stopped doing that with enchiladas because it makes them too greasy for my taste. Warming the tortillas in the oven and dredging them in the sauce is a good alternative.